We’ve discussed the three biggest differences between middle school and high school: the faster pace, more independence expected by teachers and increased social demands. Once you fully understand the obstacles your teen will need to overcome during this transition, you can begin to work on some of the other challenges that your teen will likely deal with. We’ve put together a list of the most common challenges we seen teens go through when they enter high school. Focusing on these main areas will help you and your teen not only get through the next four years, but conquer them. It’s helpful to know what you’re up against, but what can you do to help your teenager overcome or get out in front of these? Think to yourself, what’s ONE thing that can have a big impact in high school? What’s ONE thing we can work on that will make the biggest difference? You can’t fix everything all at once and it will be frustrating to both you and your teen to try. It’s better to have a strong focus on one challenge so you can work hard at it and master this task. For example, if your teenager has trouble staying organized, there are a myriad of things that can work for each student. You have to find the right fit for you and your students routine and stick to it. Is it creating a homework routine, doing a weekly binder clean out or setting up your teen with a tutor in a subject area they have historically struggled with? Second, make sure to have a conversation with your teen about the one area they should focus on. It may even be important to determine the area of focus with your teen so you can create a strategy together and they feel more empowered to make a difference in this area. When you choose a time, then start talking about the space they would like to use to complete their homework. Do they need a desk? Do they prefer to work at the dining room table? What supplies do they need. It’s important that your teen has a designated space that they feel most comfortable and confident in to complete assignments in, without distractions. Next, take it one step further and talk about what your student can do if he or she sits down to do homework and is having a hard time getting started. You can try these two homework routines to get started. Some other strategies for helping your teen get started when they don’t feel like it: do the easy ones first, do just the first few and see how you feel, do a five minute activity to clear your mind (take a walk, call a friend, get a snack) and then try again. 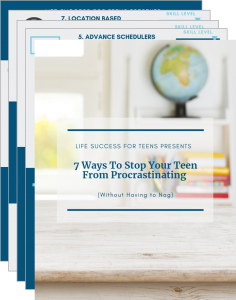 Of course you’ll be helping your teen learn how to organize themselves, manage their time, and study effectively. 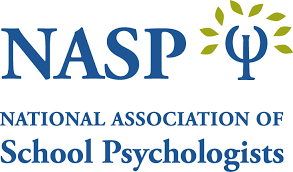 That will all come naturally throughout the school year, but focusing on one thing, rather than everything all at once, helps them dive deep into that area and to see positive change. When they have tackled one area, (for example, they are effectively using their homework routine), make sure you acknowledge and celebrate that together. Then, move on to the next area. We know other challenges will arise throughout the school year and priorities will change and shift as skills are mastered and your teen finds his or her footing in high school. That’s ok! Continue to communicate and strive toward goals together, even when maybe they are hesitant to do so!